Billy Boat Exhaust has combined the best of the Bullet exhaust with the best technology from the factory to give you the C7 Fusion Exhaust NO-DRONE System for your Corvette. Utilizing the same exhaust control valve as the factory system, you get a �Dr. Jekyll� cruising sound, and release the �Mr. 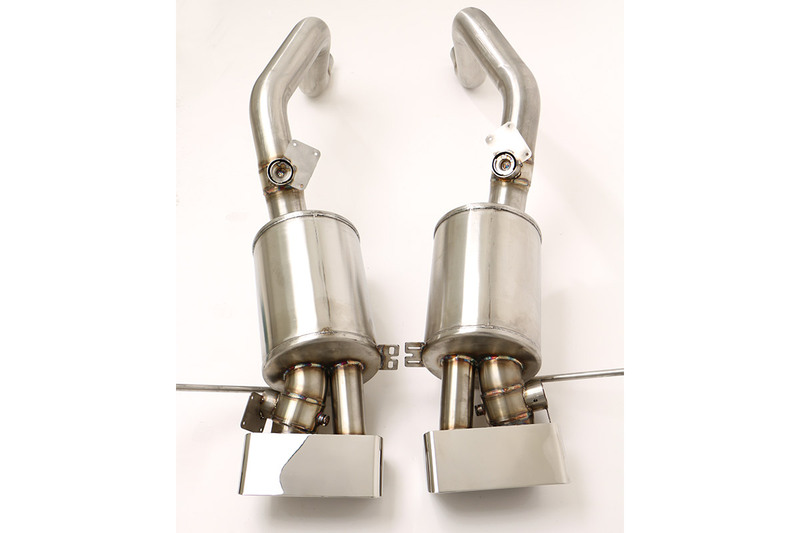 Hyde� Bullet Exhaust sound when you want! 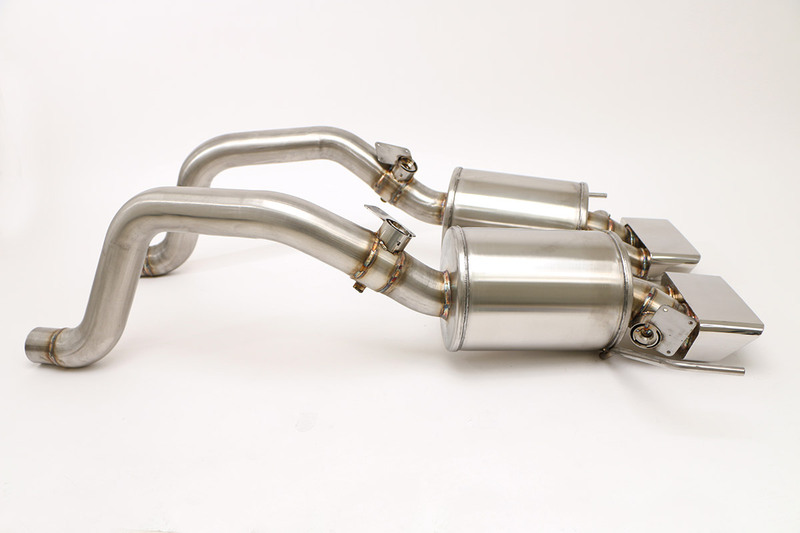 Through our development and customer feedback, we have shortened the muffler, making the �loud� side of the muffler �louder�, which results in a tone similar to the famous Bullet system. In the closed position, the tone would be slightly louder than the standard Route 66 system. 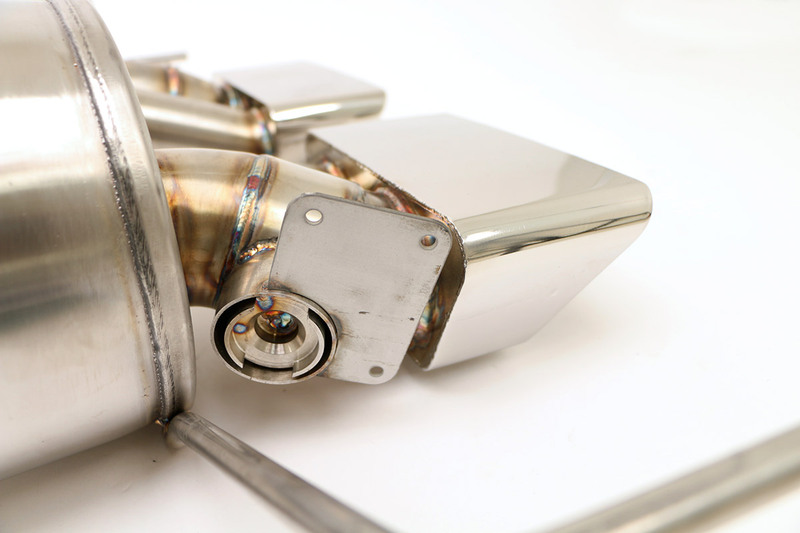 The butterfly is controlled by a vacuum valve for non-NPP C7�s, as well as the C4, C5 and C6 Fusion exhausts�which we built and developed completely in house. On the C7 with the NPP option, this valve is controlled by the ECU. The valve opens based on RPM and throttle position. The problem is the factory exhaust is very quiet, even with the valve open. Our expertise here at BBE is getting the �tone� right for your Corvette, and we think we nailed this one. Even in the closed position, the tone is deeper, louder, and more aggressive. Open the valves, the overall volume and tone increases to the point heads will turn when you drive up. 01. QTP Quick Time Electric Cutout Package Single 3"
02. QTP Quick Time Electric Cutout Package Single 2.5"
03. DEI Floor and Tunnel Heat and Sound Shield II 4 ft. x 42"